Bonačić with GF.E 16/4, c1971. Still from the 8 mm film documenting Bonačić' one-man exhibition in The Israel Museum, Jerusalem, 1975. Vladimir Bonačić (1938-1999) was a Croatian computer artist and cybernetician. Born 1938 in Novi Sad, Yugoslavia. Grew up in Zagreb and studied nuclear electronics at the Faculty of Electrical Engineering and Computing, University of Zagreb (M. Sc. 1964) Postgraduate studies in London and Paris. Earned his PhD in 1967 in the field of pattern recognition and hidden data structures, at the university of Zagreb. Bonačić worked in the Croatian National Research Ruđer Bošković Institute (RBI) in Zagreb from 1964, where he headed the Laboratory of Cybernetics from 1969 to 1973. In 1968 he started to utilize computer systems for cybernetic art. In 1970-1972 he led the research project "Pattern Recognition and Processing" at the RBI. At that time the also began development of "Computer Controlled Dynamic Object" with the support of UNESCO; and in 1971 served as an advisor to the UNESCO on art and science matters. Exhibited his first dynamic objects within New Tendencies exhibition in Zagreb in 1969, altogether 17 works, and then again in 1973. He worked together with Ivan Picelj, and since 1967 with a software designer Miro A. Cimerman. His first solo exhibition took place in Ljubljana in 1972. On the basis of an agreement between the Ruđer Bošković Institute and the Israel Academy of Sciences Bonačić established a laboratory team for cybernetics, bcd, together with Cimerman and an architect and city planner Dunja Donassy (1971). In 1972 bcd - cybernetic art team moved to Israel and in 1973 founded the "Jerusalem Program in Art and Science", a research and training program for post-graduate interdisciplinary studies in art and science at the Bezalel Academy of Arts and Design in Jerusalem, which Bonačić directed until 1977, serving as a professor of computer-based art. For this program he established collaborations with the Hebrew University of Jerusalem and the Israel Museum. On 3-14 November 1974 he organized an international Bat Sheva seminar on The Interaction of Art and Science, in which several New Tendencies protagonists, such as Jonathan Benthall, Herbert W. Franke, Frank Joseph Malina, Abraham A. Moles, A. Michael Noll, and John Whitney, participated. 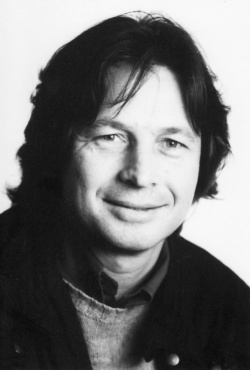 In 1975, Willem Sandberg, a Dutch typographer and director of the Stedelijk Museum, received the Erasmus Prize in Amsterdam. On Sandberg's recommendation, half of the prize was dedicated to "The Jerusalem Program in Art and Science". In 1973 he became a member of the editorial advisory board of the journal Leonardo. 1978/1979 head of development of the multimedia and electronic library at the national library of Croatia, Zagreb, and the central library of the University of Zagreb. Moved to Germany in 1980 where he undertook R&D projects primarily in visual communications used by German television for election night reporting. He died 1999 in Germany. T4. Computer-controlled dynamic object, aluminum, light bulbs, electric parts, 70 × 50 × 6 cm, 1968. With Ivan Picelj. PLN 6. Computer-generated image. PDP-8, oscilloscope, 1969. Random 63. 63 true random generators, light bulbs, aluminum, 76 × 76 × 7 cm, 1969. DIN.PR 18 (NaMa 1). 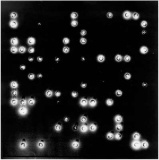 Computer-controlled dynamic object/light installation in the storefront of NaMa in Zagreb, Kvaternikov Square, 18 elements, each 48 × 88 × 25 cm (matrix 3 × 5), 1969. DIN.PR 10 (NaMa II). 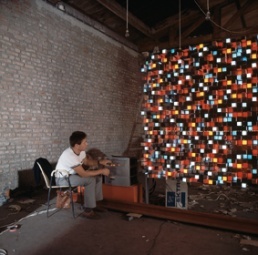 Computer-controlled dynamic object/light installation at the storefront of NaMa in Zagreb, Ilica Street, 100 elements, each 88 × 48 × 25 cm (matrix 5 × 3), 1971. ↑ Fritz, Darko (2010). "The Computer-Generated Artworks of Vladimir Bonačić". London: CAT 2010 London Conference: p 43. 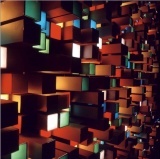 "Kinetic Art: Application of Abstract Algebra to Objects with Computer-Controlled Flashing Lights and Sound Combinations", Leonardo 7:3, Summer 1974, pp 193-200. This page was last modified on 14 September 2017, at 16:43.